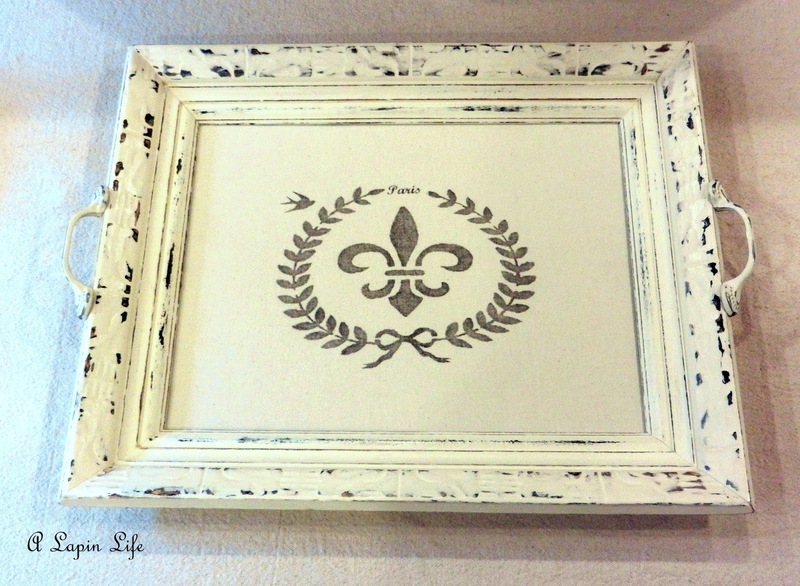 Here is how I transformed a picture frame into a gorgeous tray for entertaining! 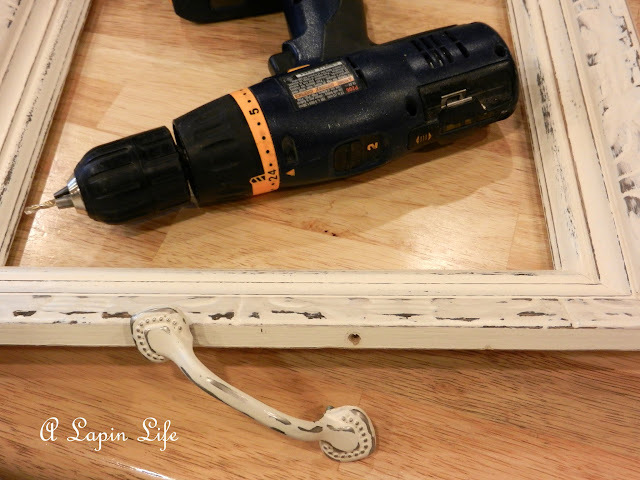 Cabinet Handles can turn any picture frame into a tray! The picture frame is from a consignment shop. I used The Graphics Fairy pictures for the art. 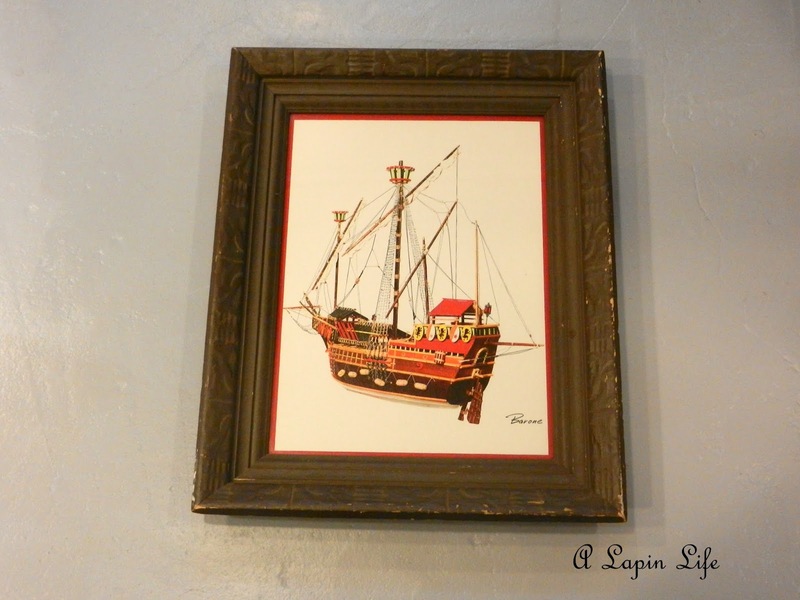 Then I used my woodworker's transfer tool to transfer the art onto the fabric. 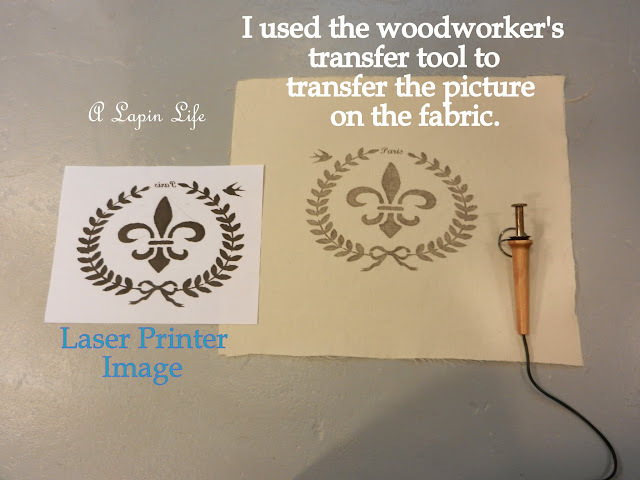 You can find the woodworker's transfer tool on my sidebar. Here are the images I put together. Don't forget to mirror image your picture for the transfer if there are words or numbers on it. 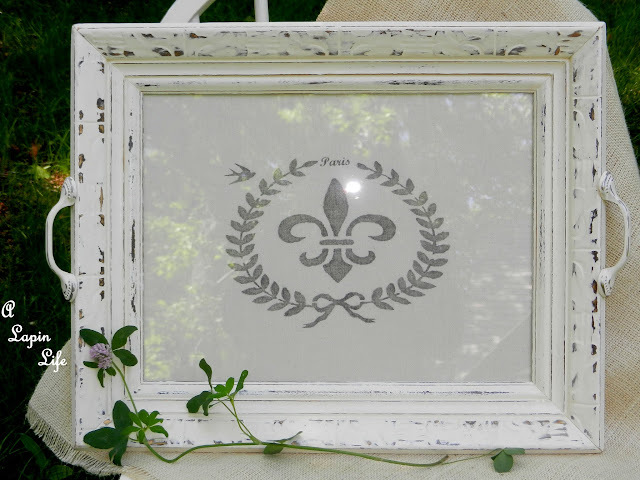 and then I made (homemade chalk paint) for the frame. I then sanded the frame with 220-grit sandpaper after it was dry to distress it. I used a small electric hand sander. You can sand the wood by hand for the distressed look too! I sealed the frame with clear Butcher's Bowling Alley Wax. I buffed the frame after it was dry. I bought two cabinet handles at the hardware store and also painted them with chalk paint, distressed them with 220 - grit sandpaper and waxed them with the clear paste wax. My husband cut the tops off the screws heads for me that go into the handles. The screws were then glued into the drilled holes you see. Now put the glass back in the frame. If you want you can caulk between the glass and the frame. This helps seal it in case of liquid spills. I used clear duct tape to tape the back closed. Now I have a fancy tray that I can use for entertaining. That's so pretty, Dee! I love the graphic and that you made this frame into a tray. What a great piece to use especially with lots of outdoor entertaining coming up. What a lovely tray! And a great tutorial so we can all make one now...thanks Dee! I love your tray, Dee! I made something similar to hold the remotes, but yours is much prettier! Beautiful job! Your project came out great. Love the images you chose. What a clever usage of these items to make a fabulous tray. I love this. Your tray turned out just darling:) I didn't know they made clear duct tape, I will have to look for it. Love it! You always make the most interesting things. I'm sure you will use this a lot. I love it, Dee! 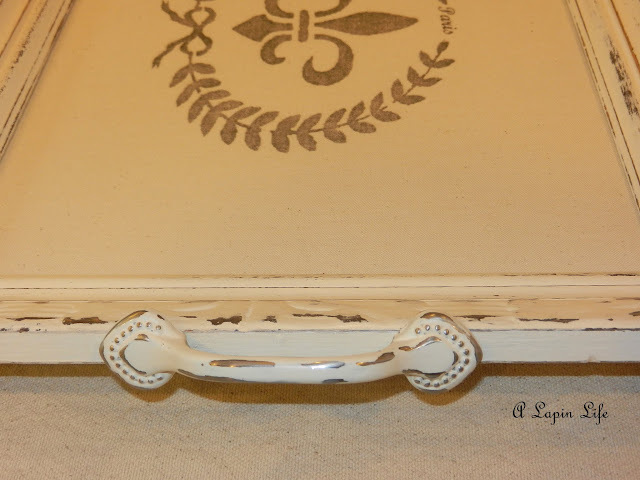 What a super idea to add handles to a frame & make it a tray. You have such clever ideas. LOVE IT Dee!! Have a great weekend! Your tray is beautiful, Dee! I'm sure it will get much use this summer.I keep intending to order that little tool, but I haven't gotten around to it. 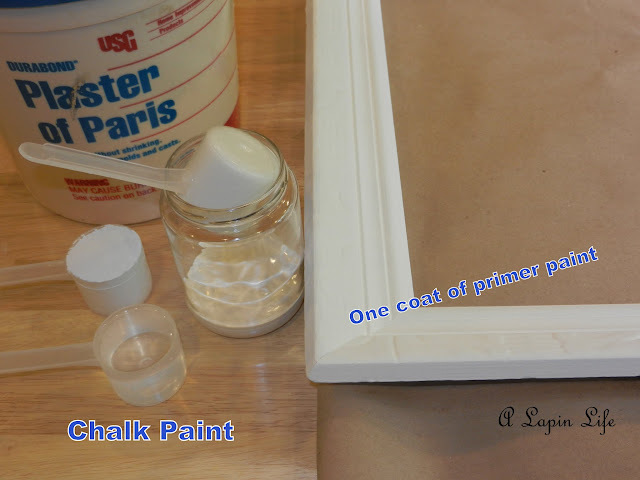 Very pretty indeed and great idea about caulking -- I did something similar and did not caulk/seal it and yep, a good spill leaked in between! 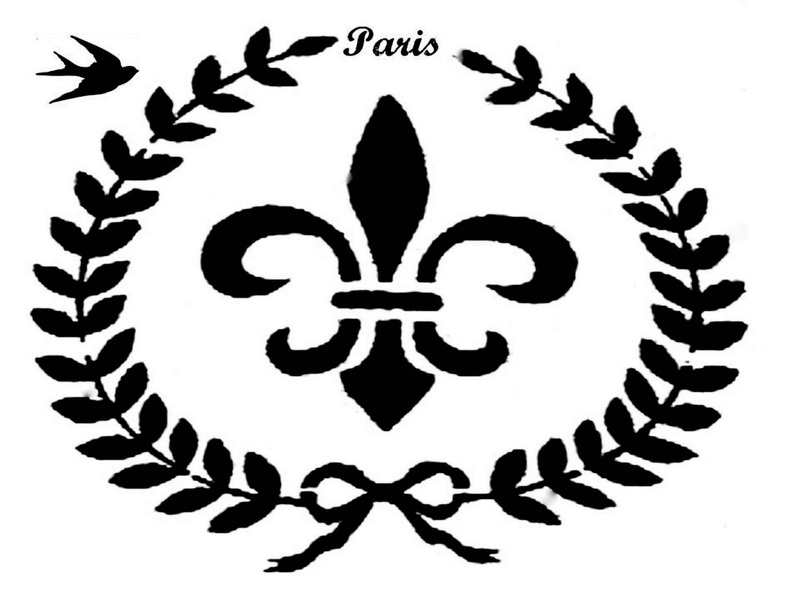 Pretty and with French look. Just love you sanded. Very well tea tray in the garden for a summer afternoon tea. My kind of project Dee. I love the tray and the graphic is perfecto. Have a great weekend! This is AMAZING Dee! I LOVE it! I am in the middle of a kitchen makeover right now myself. I love this and have to make one. I ordered the tool last week and it should arrive any day, I can't wait! What a great makeover! 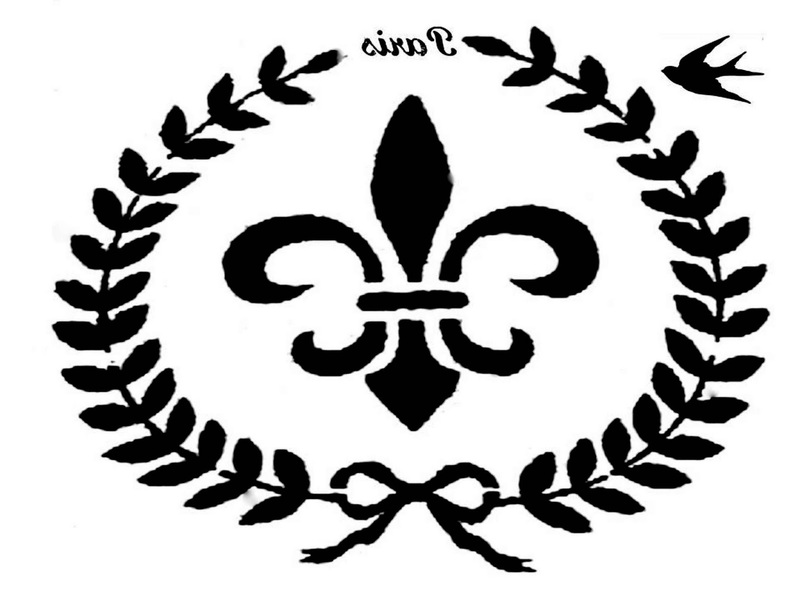 I love love love fleur de lis!! Great work! That is a lovely tray and you put it together in a very smart à-la-Dee style! Fantastic idea, I just love it. I am so inspired by this, thanks for sharing. I have been meaning to make some of these, but just haven't gotten around to it yet. Yours is even prettier than I imagined they could look! Looks like I'm setting aside more frames for these. LOL! Oh goodness this tray is the cutest thing ever!! You did a fantastic job girl! Newest follower here :) Can't wait to see more! Your tray is lovely! 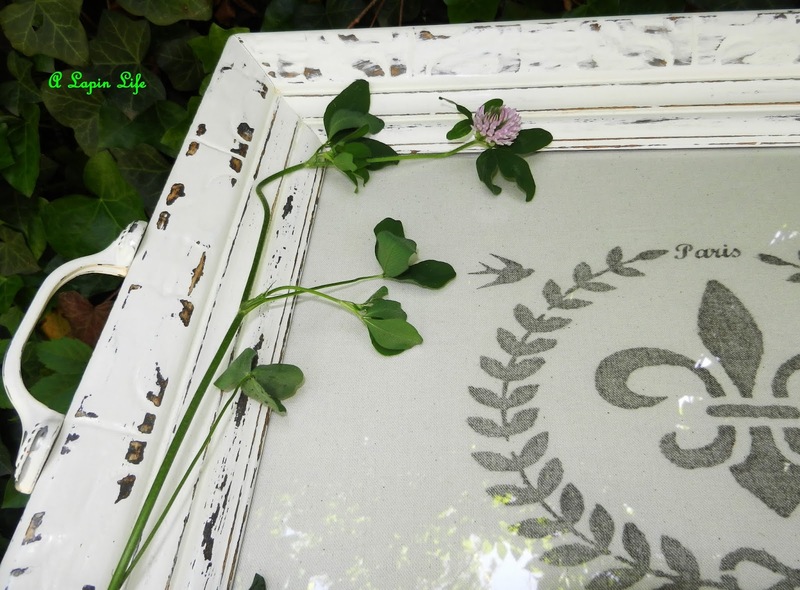 I'm going to have to write down your recipe for chalk paint, it's a paint I've wanted to try. TFS! Dee--your tray is beautiful! I can't remember if using your technique the image has to be toner copy? I love everything about your tray. Very pretty tray. I love the graphic. You are going to get so many comments at all your Summer get togethers with it. Visiting from Met Monday. This looks like a tray you would see in a very chic upscale shop. You did a fabulous job with this, it's gorgeous! A great tutorial to follow too. Love it. THIS TRAY IS GORGEOUS! This is definitely on my list of things to make. Thanks so much for the tutorial. I love this, Dee. It's wonderful! You are the WOMEAN!!! This is just gorgeous!! I love the creativity the execution and the final product! Dee you knocked this one out of the park! Very creative! Your tray turned out beautiful. Love it!!!! This is a great idea. I love how the it turned out and the print is lovely! Have a great week. 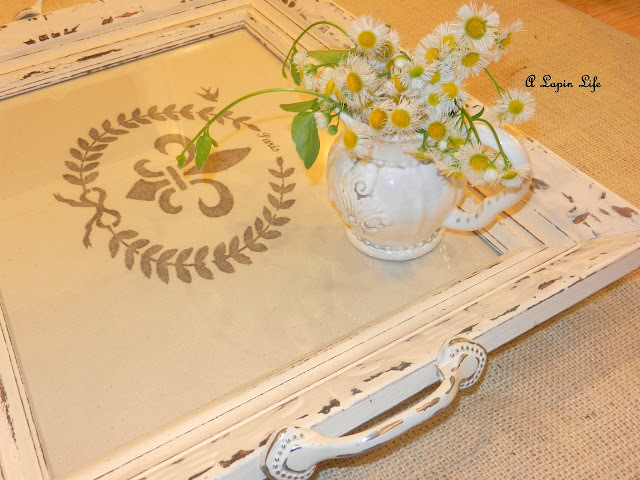 I love trays - use them all over my house to corral the clutter! This is fabulous - love the image you used and the cute little handles. Your tray looks fantastic! I love the finish and the handles. 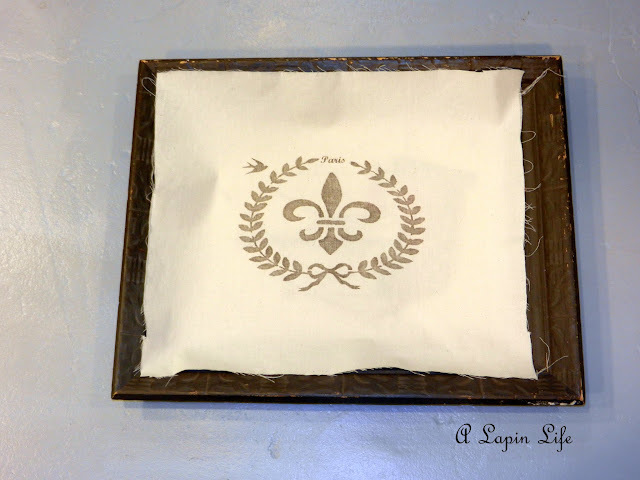 I did a wax paper transfer project this week and used a Graphics Fairy Image, as well! Have to have this print and do this!! Yours is beautiful, thanks for the info! I found you in Le Chateau des Fleurs linky party! Just saw this at My repurposed life. It's fantastic; I can't wait to make one!! Dee, the tray turned out such an excellent piece!!! Love it!!! I LOVE this. Thanks so much for sharing the step by step. This just beautifu a reall stunning piece. hanks for sharing the steps. ove it!! Oh my gosh I love this! Thank you for the tutorial and taking all of these pictures throughout the process. I'm a new follower from a blog hop and it would be great if you followed back at http://iheartpears.blogspot.com. Thanks! love your tray it is gorgeous.TFS. Dee, this is awesome! Thanks so much for the step by step instructions! Pinning this! I would love for you to share this over at my Linky Party that is live now. Dee, what a beautiful tray, Thanks for the clear and concise directions. the distressing was perfect! Looks really beautiful - great idea! I love this. 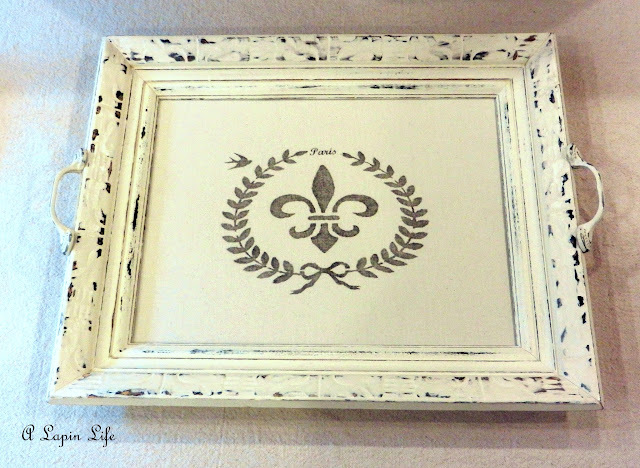 I have made trays from frames before, but I love the tone on tone look of this. Nice job! Cute as can be. I can picture being served that cup of ice tea as I wait in your sun room. Thanks Dee for linking it up at Hot Fun in the Summertime. You're the best! 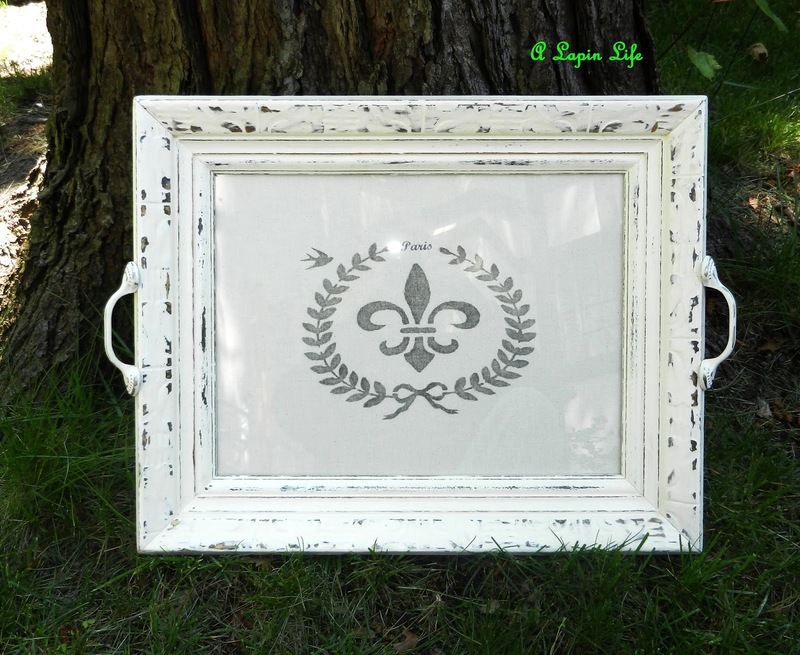 Definitely inspired by your frame tray. So doable and beautiful. Thanks for the idea! I do love what you do with that wood worker's tool. Your projects turn out so crisp and clear. Thanks so much for linking to Hot Fun in the Summer link party. Hope to see you next week. Featured you Dee! Come by and grab a button! Love it!! So elegant and pretty. Wonderful job, and yes, you inspired me!! 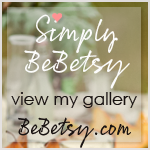 Thanks for stopping by and sharing this post on our BeBetsy BRAG ABOUT IT Tuesday. We are just delighted! That's a beautiful tray and will be so perfect for entertaining! Thanks for linking this up to the Creative HomeAcre Blog Hop. We hope you'll join us again this Sunday! If you ❤ my projects I would 'LOVE' your pins. How to Decorate Slanted Walls?